Since October 2016 Manufacturing Growth Programme has supported more than 2400 SME manufacturers identify their barriers to growth, improve their performance, create over 1600 new jobs and exceed growth expectations through more than £3m grant funding. MGP is scheduled to close its doors to ambitious manufacturers and provide free advice and support by the 31st March 2019. 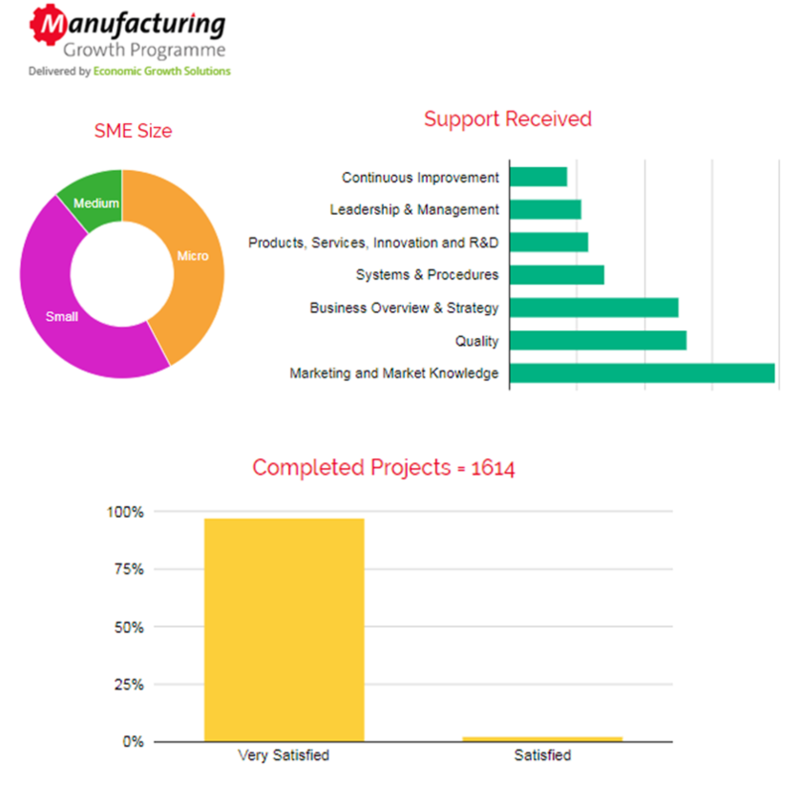 Projects are being achieved through an 19-strong network of experienced manufacturing growth managers that work with the SME manufacturers and create plans for growth and improvement. Manufacturers have access to industry specialists to implement those growth plans and the opportunity to apply for an average grant of up to 35 per cent of the total project cost. The Manufacturing Growth Programme is funded by the European Regional Development Fund (ERDF) and delivered by Economic Growth Solutions (EGS). When starting the programme in October 2016, EGS’s aim was to support and drive growth in local economies by making a difference to businesses. To date, this has been achieved. Creating over 1600 new jobs and a further 600 expected to be completed by the end of the programme. MGP has helped companies across the UK to grow, develop new products, improve their processes and quality and support the economy. “We now have £1.9m of grants to deliver but the window is getting smaller. We want manufacturers to come forward and see how they can take advantage of the assistance on offer before it’s too late. For more information visit manufacturinggrowthprogramme.co.uk or follow @mfggrowthp on Twitter.